There are lots of causes worth our attention but we believe that the Kingdom of God really is the cause worth living and dying for. 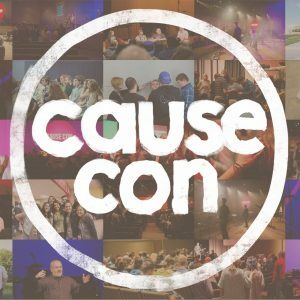 CauseCon is a place for young adults to explore this by connecting with leaders in the Vineyard and engaging in the story of Jesus. At CauseCon you’ll participate in TED Talk-style sessions and panel discussions and experience transforming worship and prayer. You’ll get to meet and build relationship with lots of great leaders from around the Vineyard. There will also be space for you to spend time with like-minded young adults exploring the different opportunities for you to get involved in the movement. We’ll share meals and laughter, worship together, pray for one another, and ask how God is inviting us to join his cause. Join us in Kansas City!